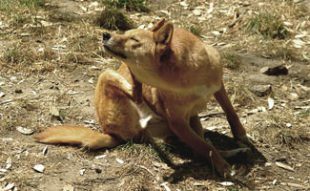 What Is Cushing's Disease In Dogs (Symptoms, Prognosis & Treatment)? 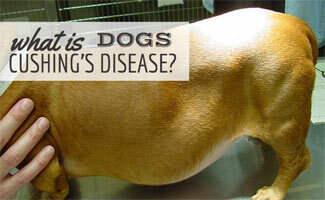 Home > Dog Health > Illness > What Is Cushing’s Disease In Dogs (Symptoms, Prognosis & Treatment)? Cushing’s disease is a lifelong, uncommonly cured, condition in dogs. There is treatment to help your dog live more comfortably, but it will not prolong your dog’s life. Find out how you can help your dog live contently with Cushing’s disease. What If You Don’t Administer Treatment? Cushing’s disease, also known as hyperadrenocorticism, occurs when the body produces too much cortisol. Cortisol is a hormone produced and stored by the adrenals, which are two small glands that are above the kidneys. Cortisol helps the body during times of stress, regulates appropriate body weight, skin condition and tissue structure. However, too much cortisol can weaken the immune system. The type of Cushing’s your dog has determines the treatment prescribed. Blood tests are used to diagnose Cushing’s to help differentiate between the 2 types. An ultrasound may also be used to detect a tumor on an adrenal gland. 80% to 85% of Cushing’s falls within the pituitary-dependent type. This means a tumor triggers it on the pituitary gland at the base of the brain. The pituitary gland produces hormones including the adrenocorticotropic hormone (ACTH). The tumor causes the pituitary to overproduce ACTH which is then dispersed throughout the bloodstream to the adrenal glands causing them to produce more cortisol. The remaining 15% to 20% of Cushing’s cases involve a tumor located in one or both adrenal glands causing them to produce excess cortisol. 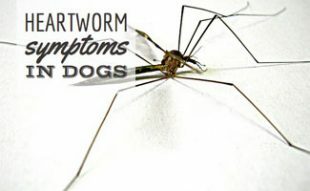 Treating Cushing’s disease in dogs takes careful monitoring and regular checkups with the vet. However, dogs can live a good, happy life if you are responsible with your dog’s care. Medication is commonly used to help manage the symptoms of both pituitary and adrenal types of Cushing’s disease. Your dog’s vet will schedule regular appointments and conduct blood tests to monitor your dog’s response to treatment. 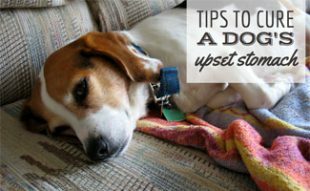 The veterinarian may adjust the dose to help improve your dog’s reaction to medication. Vetoryl (trilostane) is the only drug approved by the FDA to treat both types of Cushing’s. This prescription stops the production of cortisol in the adrenal glands. Anipryl (selegiline) is FDA-approved to treat uncomplicated, pituitary-dependent Cushing’s in dogs. Lysodren (mitotane) is often used to treat dogs with Cushing’s. It is a chemotherapy drug for humans that destroys the layers of the adrenal gland that produce cortisol. This prescription is “off-label,” meaning vets can legally prescribe human drugs to animals and at different dosages than those listed on the label. What Is The Recommended Diet For Dogs With Cushing’s? Ask your vet about the best dog food to give your dog if they have Cushing’s disease. The only cure for Cushing’s disease is to remove the adrenal tumor if your dog is adrenal-dependant and the cancer hasn’t spread elsewhere. However, this can be difficult and risky, so most cases of Cushing’s disease are treated with medication. Pituitary-dependent dogs do not commonly have surgery because techniques are still under development. Medication can control small Cushing’s tumors for many years. However, for larger tumors that affect the brain, the prognosis isn’t as good. If your dog has a malignant adrenal tumor, the prognosis is poor. The life expectancy for a dog with pituitary-dependent Cushing’s is 2 years. What If You Don’t Treat A Dog With Cushing’s Disease? A dog untreated for Cushing’s disease can live just as long as a dog with treatment. However, the dog without treatment will experience more symptoms; therefore, having a lower quality of life. This is something we suggest discussing with your veterinarian if you are considering treating or not treating your dog’s Cushing’s disease. First of all, we’re so sorry you have to consider this. We can’t imagine the pain you are feeling nor how difficult of a decision this is. We recommend speaking with your vet about signs to look for in your dog that may show the time may be approaching. When the time does come, you may find this article helpful. It discusses grieving the loss of your dog. Is your dog suffering from Cushing’s Disease? What treatment has helped? I have two Bichons (12yrs & 11yrs) that have been diagnoised with Cushings,they are both taking Vetoryl, different dosages. Their ALT levels(liver values) are 900 to 1300, they are also taking Ursadiol, for the increased ALT levels. Its sad for us to see them sleeping all the time. We also have another Bichon(14yrs) that has Copper Loading disease, which is bad in itself, ALT is 1700, on multiple meds and more meds to take those meds. We are seeing specialists to manage this, but who helps manage us? My dog, a Jack Russell, turning 15 this year was diagnosed a few months ago (pituitary). I have tried Vetoryl, but my dog was having adverse reaction to the medication. My dog has a pot belly, excessive thirst, and a huge appetite. Her liver levels are also in the 600 range (she is taking Denamarin for this and it is helping). We are now testing Anipryl 5 mg on her. I have not noticed any difference with one month of treatment. Hopefully, with two months treatment we will notice a difference. Other problems she currently has are a dry nose and a sebaceous growth by her ear. I was wondering what other treatments has anyone tried that they have seen yield positive results with minor side effects? Has anyone else used Anipryl? I have found the Anipryl to not have any side effects so far, and has actually increased alertness in my dog. She now is back to being at the door when I come home! Any feedback someone has would be greatly appreciated! Thanks! My dog a 14 year old 20 lb dachshund was just diagnosed Feb 19, 2019. He too had an adverse reaction to the Vetoryl- he quit eating and he became weak and very lethargic. We stopped the meds. (30mg) for a few days to clear his system and started him back but on the 10 mg. capsule. He got this once a day for two weeks and now we have been giving him it twice a day for a couple of weeks and he is doing awesome! So 20mg per day is apparently what he needed. One 10 mg capsule with breakfast and one 10 mg capsule with dinner. Even his one oozing lumpy growth on his back has stopped oozing! You may want to try lowering the dose :). Are you treating your dog for Cushing s? Where did you get your dog nappy’s from to fit a Cushings dog with distended belly? She said her dog was half jack Russell half dachshund. Those are both fairly small types of dog. So, she could have easily gone up a size to fit her dog. Dail, I’m so sorry you are going through this and your dog is injured. Have you spoken to your vet about your finances? Sometimes a vet will offer a payment plan or a do a procedure at a lower cost. 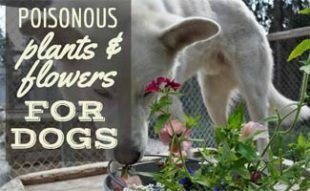 I also suggest discussing the topic of euthanasia with them as they may be able to offer alternatives for helping your dog live more comfortably. You are all in my thoughts.